We are having cold weather and snow today. The best way to stay warm is to eat a hot bowl of soup. Kale is glorious on soup. Unlike spinach, it really knows how to hold up in soup without becoming soggy or disintegrating. 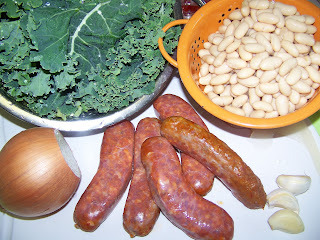 I love how well kale is complimented by both the savory sausage and the creamy cannellini beans. 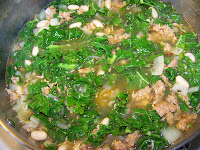 So if you are having cold weather like us... this soup is perfect for the day. If you are having a hot day... put a fan on, wear some shorts and eat a bowl of this soup... it's still good. 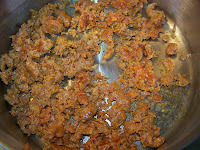 Remove the casing if the sausage is in links and crumble it. Brown it in a large soup pot. 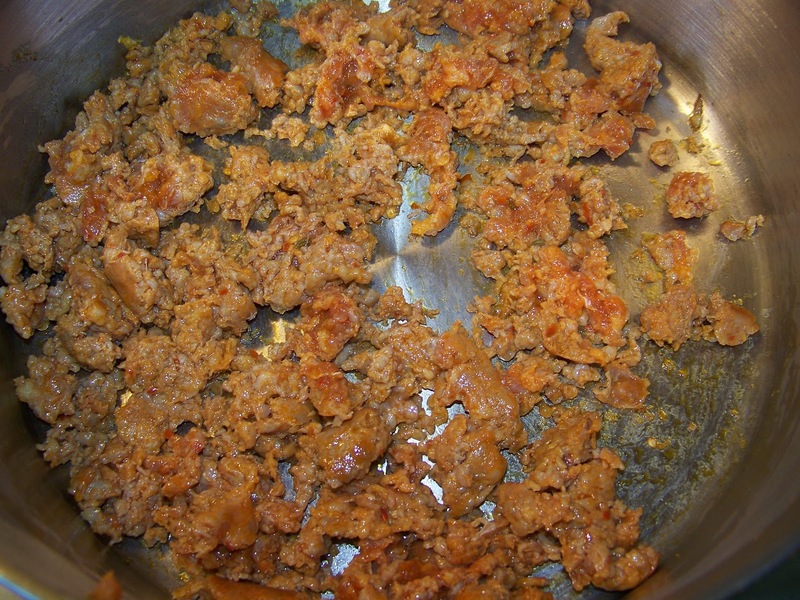 My sausage was very lean and very little oil came out of it. If you have a lot of oil drain it all except for 1 Tbs worth. I actually had to add a little canola oil to cook my onions. Next add your onions and garlic. 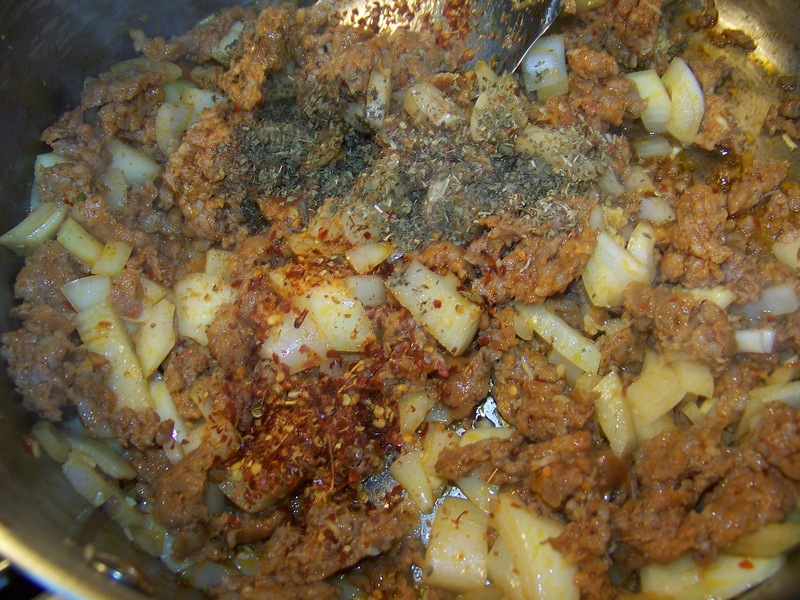 Saute for a few minutes stirring well. 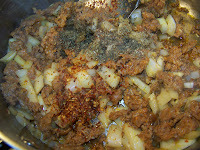 Then add your seasoning, herbs and stir well.Add your liquid and de-glaze the bottom of the pan. 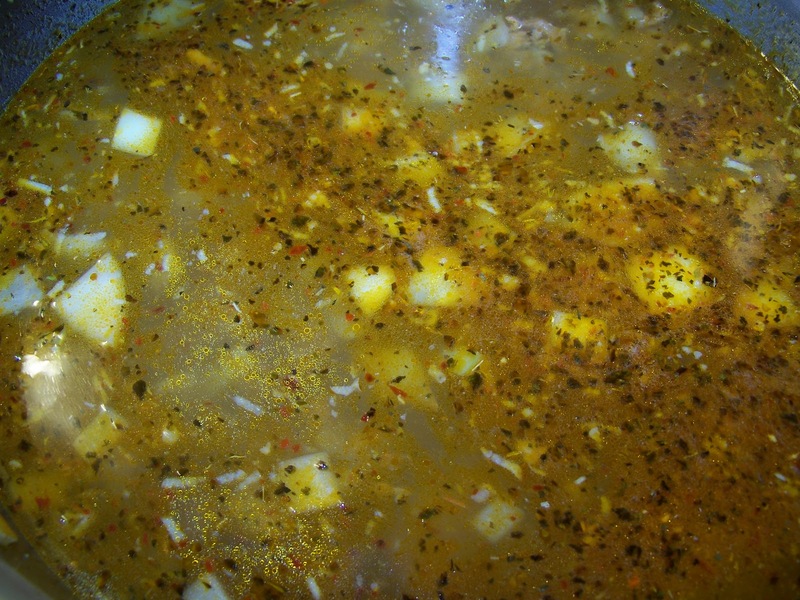 You can add fresh chicken stock, can, carton, water and bullion or any combination of the above. I used 1 carton that had 4 cups of stock and then used water and bullion powder for the rest. Bring soup to a boil. Looks delicious & a healthy soup! Oh, boy, does this look wonderful! The weather turned COLD overnight and it's time for hot soups to return to the menu!! You should never feel guilty eating two bowls of soup like this! It looks amazing. I'll bet it smelled phenomenal in your kitchen while it was cooking too. Soups on!!! This is a non-guilty indulgence. 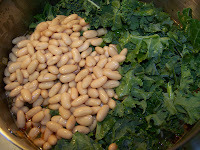 Kale does seem to make everything seem a tad healthier, even if we do eat a ton of it heehee. 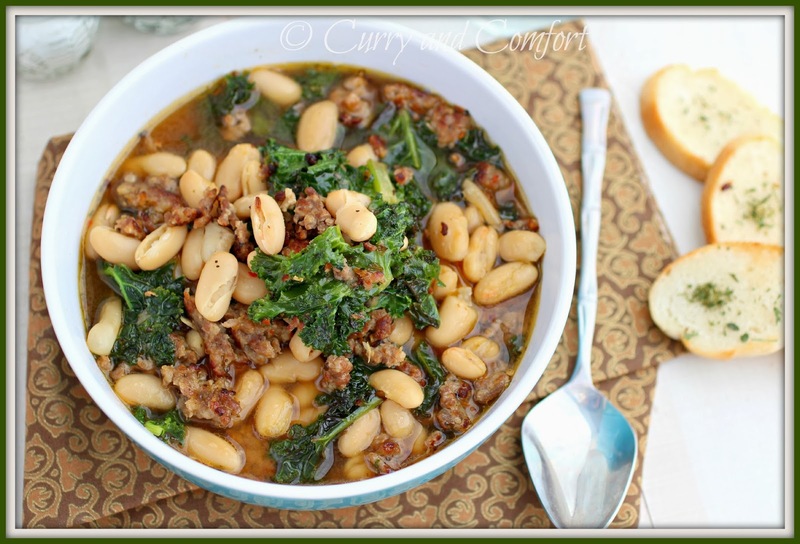 Love this - hearty, filling, and better for me than the average soup. Yum. I love making soup right after Thanksgiving too. 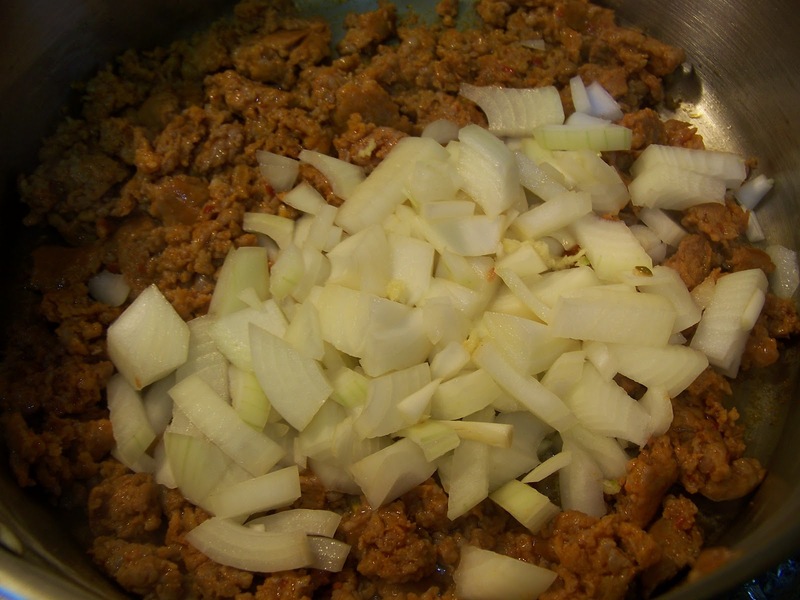 It's a great way to use up left over ingredients or to just give yourself something lighter. This soup looks hearty and delicious! This is my kind of soup! Maybe it would even get my husband to eat some kale! The soup looks satiating and comforting. It is actually so inviting that I am suddenly yearning for it! 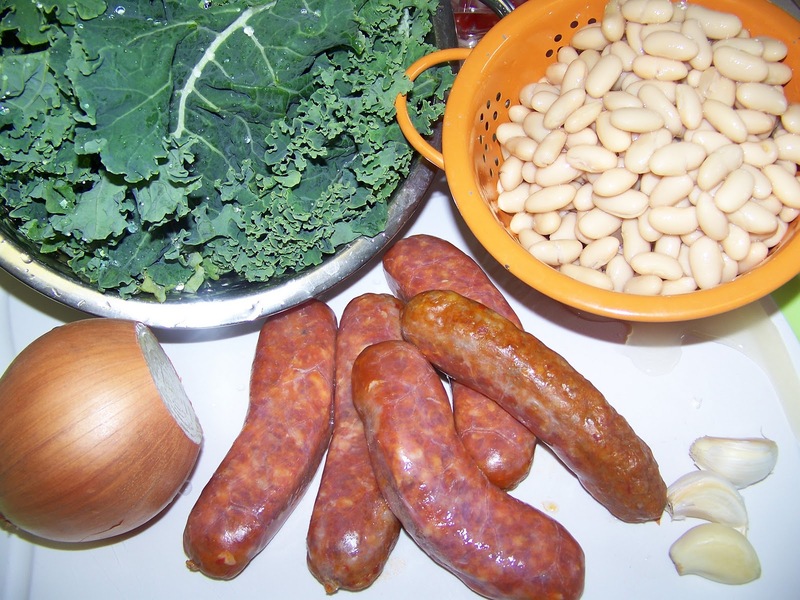 White beans and kale are such a good combo - throw in sausage and yum! This is such a scrumptious soup! 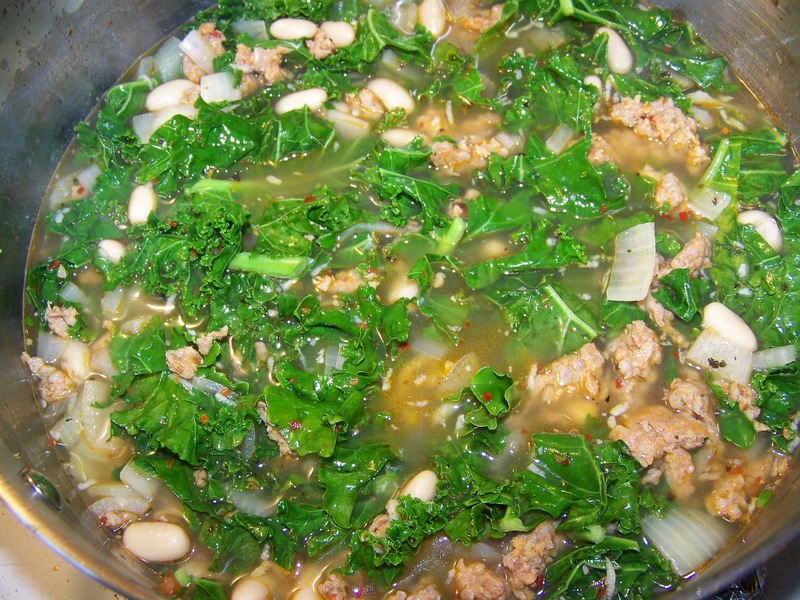 This is a great one pot dish! 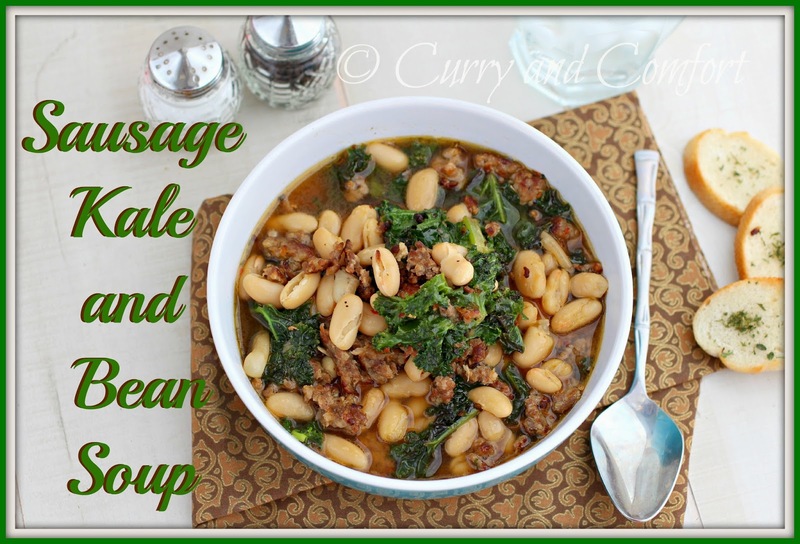 I love the kale and sausage together and nice addition of white beans! 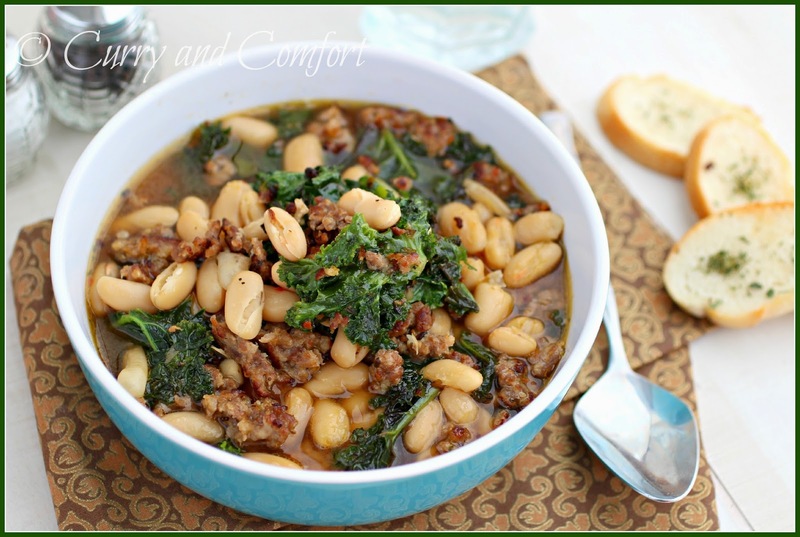 Perfect winter comfort food! This soup would be perfect during this snowstorm, Ramona! Man, I would curl up with this in a second. :D And again, kale is the bomb! It is so cold right now and we are suppose to get more snow today. I am ready for winter to be over. I need soup to help me get through the remaining blustery days. This looks so warm and filling. 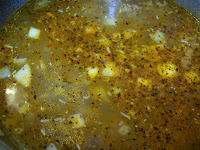 Great soup recipe!